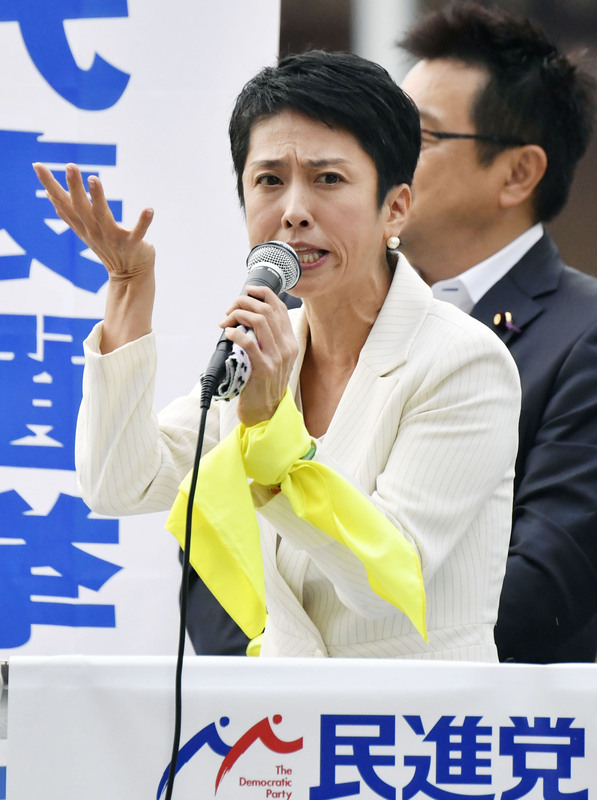 Renho, one of the three candidates vying for the top slot in the Sept. 15 Democratic Party leadership election, has repeatedly denied speculation that she may be violating the Nationality Law by having de facto dual citizenship. 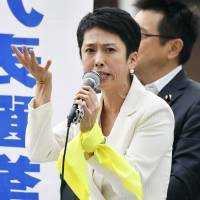 The high-profile lawmaker from the main opposition DP has a Taiwanese father and Japanese mother. On Wednesday, she denied the nationality allegations, telling Jiji Press and other media outlets that she had renounced her Taiwanese citizenship when she obtained Japanese nationality in 1985 at the age of 17. But what are the legalities surrounding dual citizenship in Japan? Is having dual citizenship illegal in Japan? The Nationality Law states that a Japanese national who also holds foreign citizenship is obliged to choose one before turning 22 or risk losing Japanese citizenship. The Justice Ministry says holding dual citizenship may cause international conflict caused by a collision of diplomatic protection rights between two countries. It also says allowing dual citizenship causes identity confusion in multiple nations. How can a person obtain multiple citizenship? Japan upholds the jus sanguinis principle, meaning that Japanese citizenship is attributed by blood, as opposed to the jus soli principle upheld by such countries as the United States, where citizenship is decided by location of birth. In many cases, children who are born to a Japanese national and a non-Japanese citizen acquire multiple citizenship at birth. Children who were born to Japanese parents in jus soli countries may also acquire dual citizenship. In that case, parents must declare their desire to retain Japanese citizenship for their children within three months of birth or face it being revoked. Children for whom Japanese citizenship is revoked can retrieve it before they turn 20 if living in Japan. A Japanese citizen who marries a foreign national may also acquire dual citizenship. He or she must choose one nationality within two years after marriage to avoid dual citizenship if they are 20 or older. If foreign citizens are naturalized in Japan, they are required to renounce their current nationality, except when there is a compelling reason not to. What must be done to avoid dual citizenship? If people with dual nationalities choose Japanese citizenship, they must either file a document to prove renunciation of foreign nationality or, if unable to do so, declare their desire to retain Japanese citizenship to municipalities or Japanese diplomatic offices overseas. The Nationality Law states that a person who has dual citizenship could be notified by the justice minister if the person doesn’t select a nationality two years after a second citizenship is acquired, or when they reached 22 years of age. If no action is made within one month after receiving the notice, the person may lose their Japanese citizenship. However, no one has ever been notified nor lost Japanese nationality for having dual citizenship since the Nationality Law came into effect in 1985, Justice Ministry official Hiroyuki Ishii said. “Because losing Japanese citizenship may have an enormous impact to an individual’s life, we must be extremely careful about exercising it,” Ishii said, adding that the law does not have any penalties for having dual citizenship.